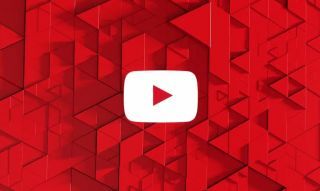 YouTube has announced the looming launch of a new subscription-based service called YouTube Red, set to go live on October 28. For $10 per month, subscribers will be able to watch YouTube videos without ads, save them for offline viewing, and access exclusive content from well-known YouTubers like PewDiePie, Rooster Teeth, and College Humor. The subscription fee will also cover YouTube Music, a new app set to launch in the near future that's "designed to make discovering, watching and listening to music easier than ever," according to the announcement on the YouTube Blog. "Any song or artist you choose on YouTube Music will start you on a personal journey through one of the richest music catalogs; just sign in, tap a track you love, and see where your music takes you." YouTube Red original content is expected to start rolling out in early 2016, and will include shows like Scare PewDiePie, in which the internet's biggest star "encounters terrifying situations inspired by his favorite video games"; Sing It!, a scripted satire of reality-show singing competitions; Lazer Team, a feature-length comedy from Rooster Teeth and Fullscreen Films about four "small-town losers" who must save Earth from an alien invasion; and Fight of the Living Dead, an "unprecedented social experiment reality show" that traps popular YouTube personalities inside a realistic zombie apocalypse. YouTube is offering a one-month free trial of the Red service beginning when it goes live—October 28, remember—but it's currently only available in the US. In fact, subscribers who leave the country for whatever reason will go back to seeing ads and be unable to save videos for later viewing. But if you live there and want to give it a peek, you may do so at youtube.com/red.